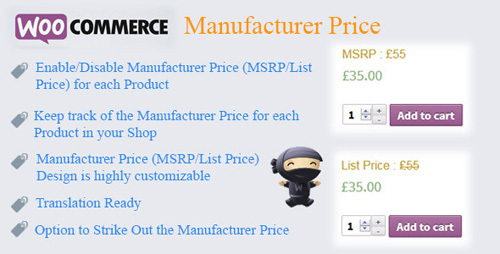 Manufacturer Price�is a WooCommerce Extension Plugin using which you can display the�Manufacturer (MSRP or List Price) Price�of a Product. 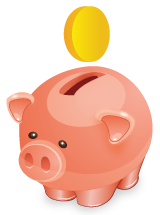 This will prompt the visitors to buy as the�Selling Price�will be lesser than the�MSRP Price. Also you can keep track of the Manufacturer Price for each of the Product as the Plugin helps you to store the Manufacturer Price in the Product Page.